Voltage Input: 57V to 500V. PT Primary Range: 57V to 400kV. Power Supply: 60 to 300VAC/VDC or 24 to 60VAC/VDC. Output: 0-20mA, 4-20mA, or 0-10V (DIP Switch Selectable). Used to measure and convert an AC Voltage or Current input signal to a load independent DC Voltage or Current signal. 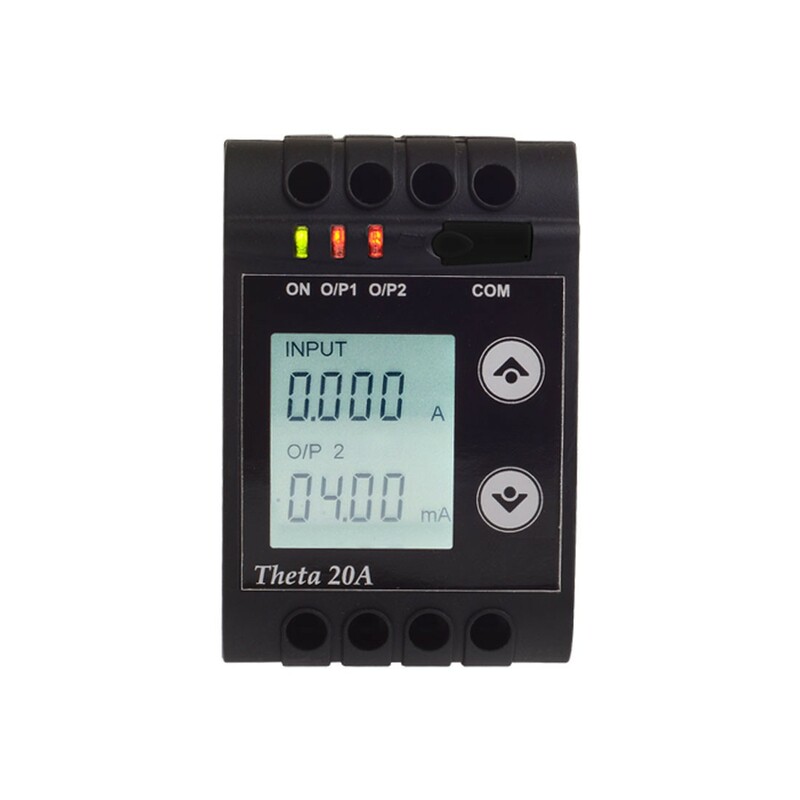 Programming can be handled through the front keypad, COM port using an adapter cable, or optional RS-485 output. Green or Red LED's indicate power and output types. Optional seven segment backlit display and the front eight screw terminal input make setup and easy task.